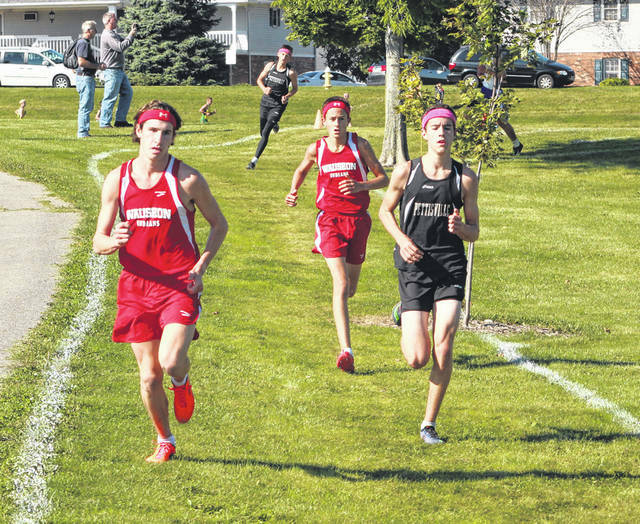 Michael Cheezan of Wauseon, far left, runs at a meet earlier this season. He placed 10th at the Tiffin Regional over the weekend to advance to state. Sarah Schwan of Evergreen at an earlier meet. She advanced in the Division III girls race where she placed eighth. 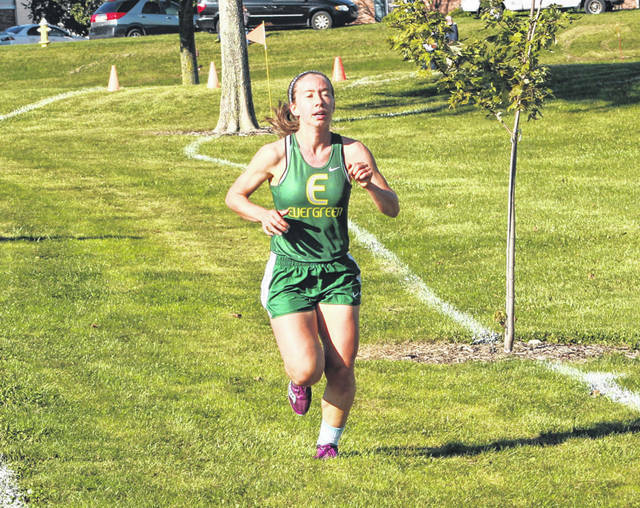 TIFFIN – The Archbold girls team finished second at the Division III regional cross country meet at Tiffin on Saturday to lead a contingent of Fulton County runners to the state tournament. The Streaks had a score of 102, while Minster won with 35. Kylie Sauder led Archbold with a third place finish in 19:04.98. Emma Watke of Minster won in 18:27.77. Also for Archbold, Dakota Stamm was 13th (19:39.24), Gwynne Riley was 23rd (20:05.47), Karley Ramirez 37th (20:38.33), and Brittney Ramirez 57th (21:08.08). Also advancing was Sarah Schwan of Evergreen who placed eighth overall with a time of 19:25.02. Pettisville was 11th as a team with 321 points and Evergreen 15th with 399. For Fayette, Brett Merillat was 13th with a time of 16:48.19. New London won the team title, while Fayette was 13th and Pettisville 14th. In the Division II boys race at Tiffin, Michael Cheezan of Wauseon placed 10th to advance to state. He finished in 16:41.16. Magdalena Duden of Wauseon qualified for state in the Division II girls race. She finished 12th overall with a time of 19:38.45. As a team, the Indians were ninth with 221 points. Lexington won with 19 points. The state meet for cross country is Saturday at National Trail Raceway in Hebron.